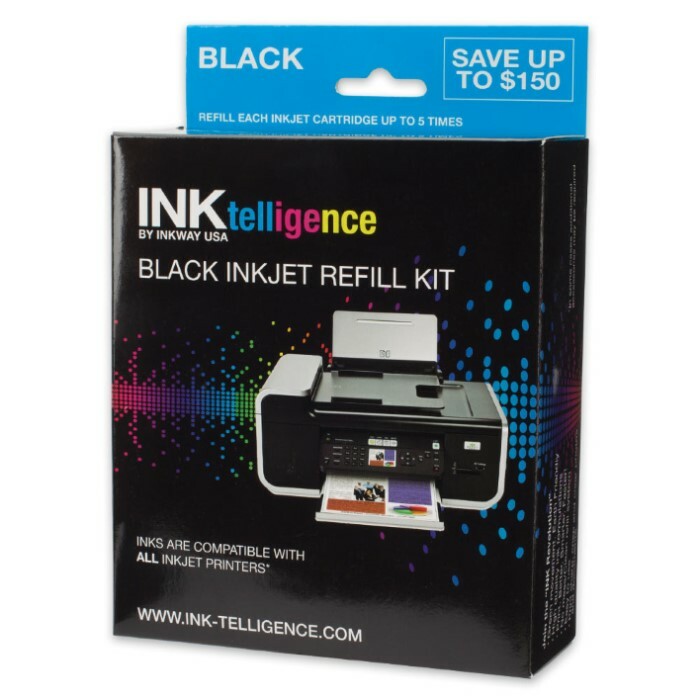 Don’t keep forking out money over and over again to replace your printer cartridges! 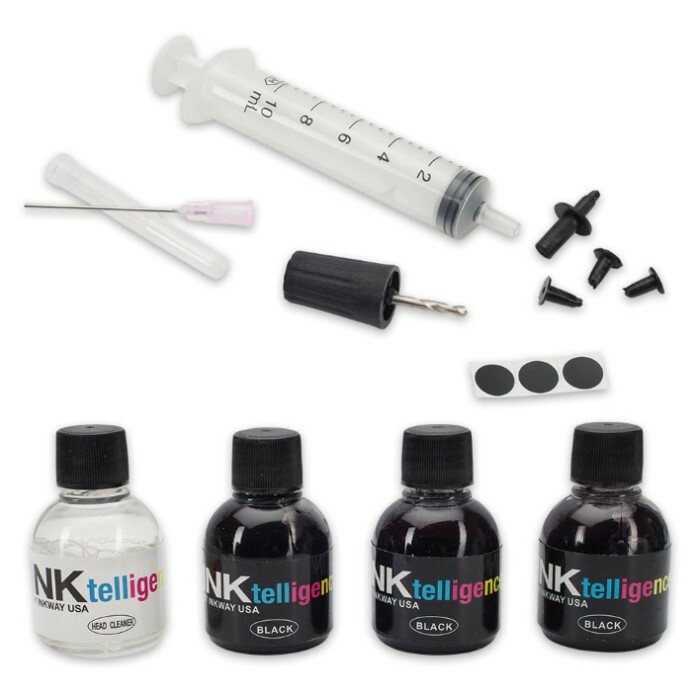 The Ink-Telligence Black Ink Refill Kit is a universal inkjet kit that lets you refill any black inkjet cartridge on the market. Just follow the easy step-by-step instructions on the included instructional CD. The ink formulation has been rigorously tested for permanence and durability so print looks better, lasts longer and is UV, smudge and water resistant. 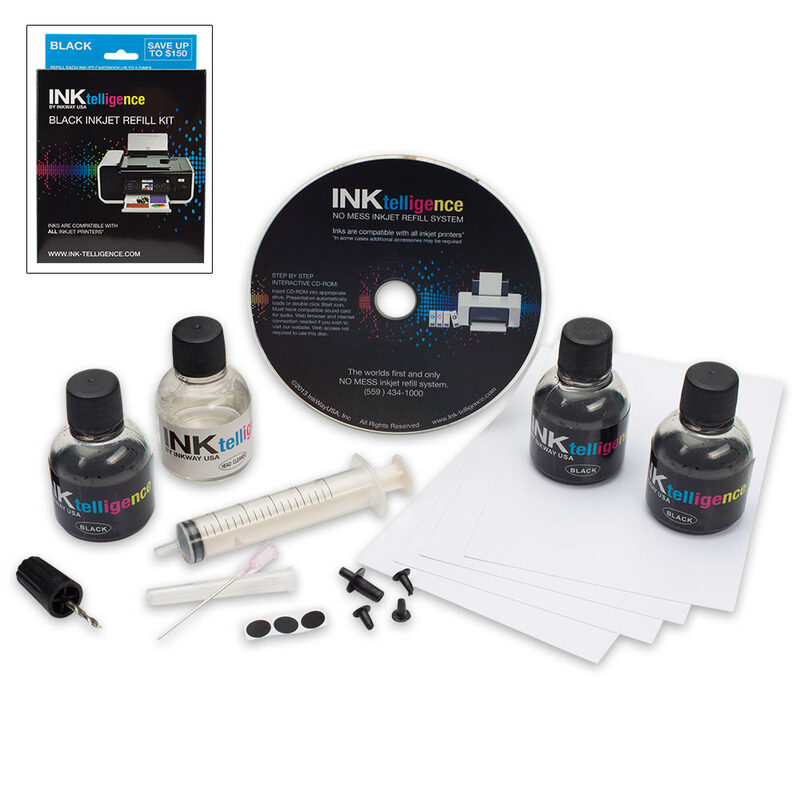 The kit includes three 32ml ink bottles for up to eight refills, a universal cartridge/print head cleaner, injector, tool kit and ten sheets of 4”x6” photo paper.